Barker Pacific Group actively focuses on the acquisition, development, and management of pre-leased residential and commercial projects. The duties and responsibilities of the team include budgeting, entitlements, design, permitting, and construction management. BPG’s array of skills span the underwriting of potential acquisitions, to construction project management, and beyond to marketing, leasing and project financing. BPG seeks value add properties with deferred maintenance issues and partial leasing, finding areas to increase the attractiveness and value of the property for investors and tenants. One Sansome St. sits atop a base that includes portions of a historic building that once housed the Anglo & London Paris National Bank. The building is named Citigroup Center at One Sansome - after the bank that built the tower in 1983 to house its West Coast operations. Citibank, who currently occupies 122,000 sq. ft. of space in the building, renewed its lease with BPG in 2011. 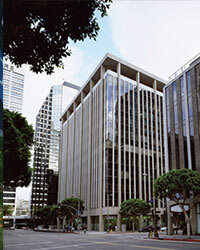 Upon acquisition by Barker Pacific Group and Prudential Real Estate Investors in May 2010, the occupancy had fallen to 75% and common areas needed refurbishing. The BPG and Prudential joint venture have invested over $70 million in upgrading the building. The capital improvements include: new tiling and lighting in the main lobby, new security console, new elevator cab interior finishes and lighting, and installation of multiple furniture and carpet arrangements in the lobby. The building is currently 100% leased. 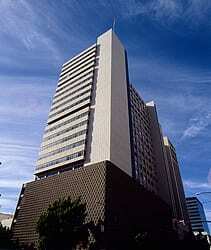 The 626 Wilshire Boulevard building was constructed in 1967 by C.L. Peck Contractors. C.L. Peck was one of the L.A.’s major construction contractors in the 1960s and 1970s. 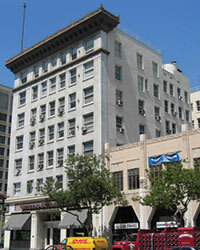 626 Wilshire was built as a Class “A” structure for the headquarters of its owner, State Mutual Savings & Loan. Please contact our filming broker, The Location Portal, if you're interested in filming in or around the building. 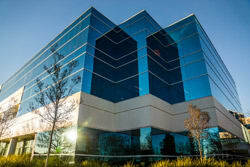 Lava Ridge Business Center was constructed in 1999-2000, a three-building office complex located at 2990, 3000, & 3010 Lava Ridge Court located in the Roseville Office Submarket, the premier suburban office location in the Sacramento Region. Barker Pacific acquired the buildings in 2016 and has commenced major renovation of the common areas, including lobbies, new building signage, and construction of a new lobby at the rear of the 3010 Building that will provide better access to parking. Olympus Corporate Centre was built in 1991-1997, a four-building office complex located along the highly desirable Douglas Corridor. 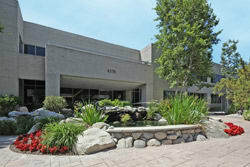 This is considered the premier office market in the Sacramento region. Barker Pacific acquired these assets in 2017 and seeks to add value to the property by increasing occupancy and focusing on improvements, such as upgrading lobbies, corridors, and exterior accent painting. 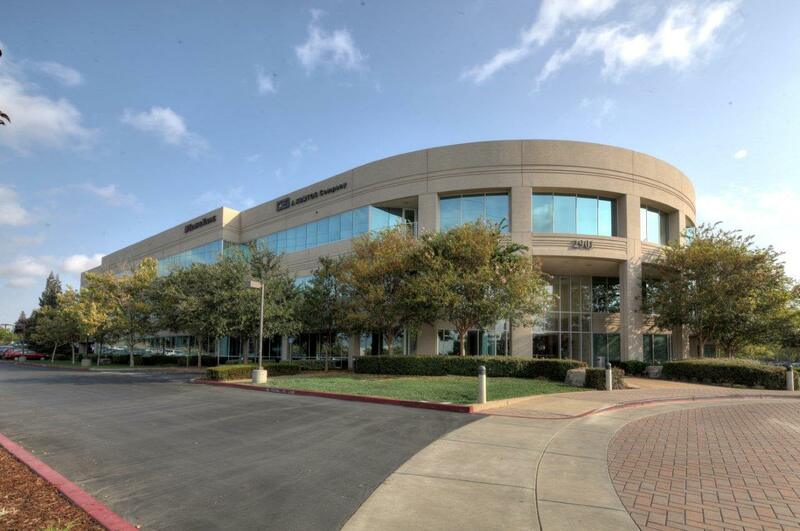 The acquisition of Douglas Corporate Center marks BPG's third investment in Roseville, California. The two-building complex, totaling 213,982 SF, is located in the famed Douglas Corridor, orienting it conveniently among many desirable amenities for tenants and guests. The team is focused on increasing the building's occupancy and upgrading common areas. 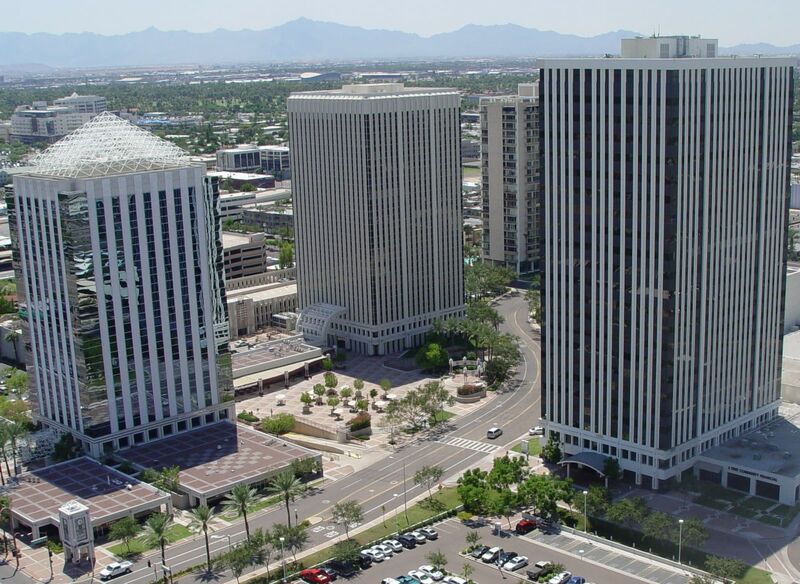 The acquisition of Mesa Financial Plaza marks BPG's first investment in Mesa's developing market. The 16-story, 311,132 SF building, now rebranded "The Mesa Tower", is an instantly recognizable landmark on Phoenix's East Valley horizon. The team will be focusing on increasing building occupancy, upgrading common areas, and improving building signage and lighting. BPG acquired 301 N Lake Ave in December, 2018. 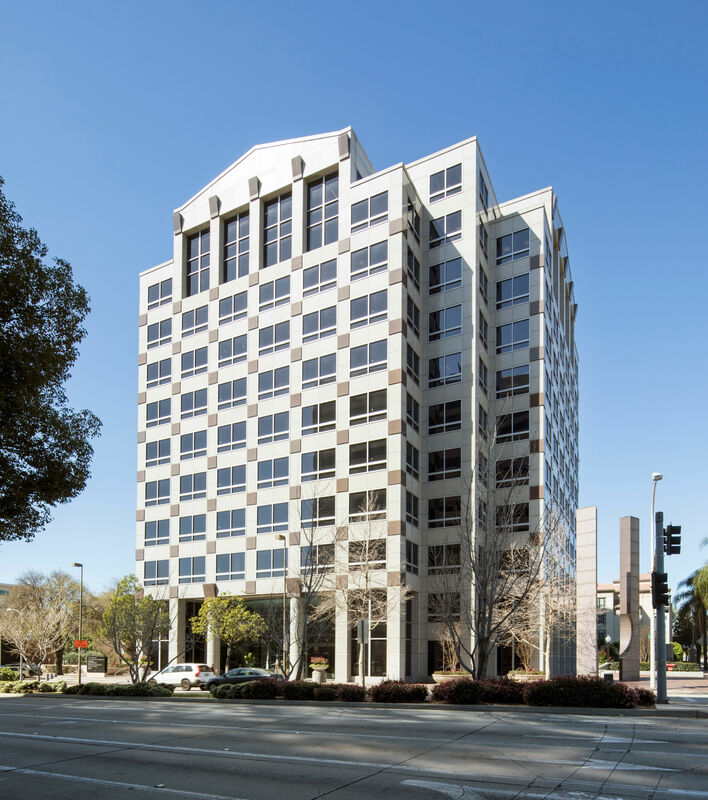 The 11-story, 227,019 SF building is located on Lake Avenue, one of Pasadena's most prominent and active thoroughfares. The team plans to make strategic improvements to this Class A property. BPG, with JV partner Iron Point Partners, acquired City Square in March, 2019. 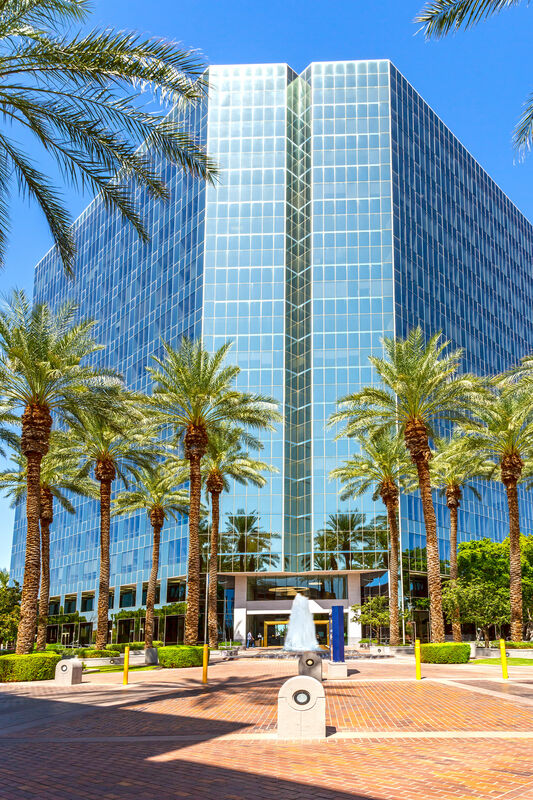 The 3-building complex, totaling over 700,000 SF, is one of Phoenix's most prominent commercial landmarks. The team plans to make strategic improvements to this Class A property. For the past 35 years, Barker Pacific Group has been successfully developing commercial, residential, and other projects throughout the country. Discover the scope of BPG’s historically-owned properties below. Formerly know as the Citizens Bank Building (CBB), 225 E. Colorado is a historically-significant building located at the corner of N. Marengo Avenue and E. Colorado Boulevard, conveniently located one block east of Old Town Pasadena, in the heart of the downtown district near the Pasadena City Hall Complex. 225 Colorado provides first-class office space in a historically significant structure. The building was originally built in 1915 for Citizens Savings Bank. CBB occupied the building for almost 100 years. 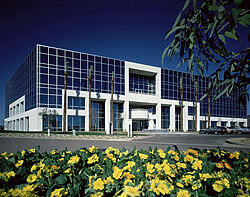 In September 2004, BPG acquired 225 Colorado and immediately took over management of the building. The team started renovations in 2005. In late 2006 the Citizens Bank vacated over 15,000 RSF of space on the upper floor. BPG immediately began remodeling the vacant space in order to accommodate future tenants and to improve the appearance and functionality of the suites. The fourth floor was reconfigured to allow for multi-tenant lease- up including five spec suites. In 2007, occupancy was increased from 70% to near 100%. When the project was sold in 2016, it provided an impressive return for investors and partners. 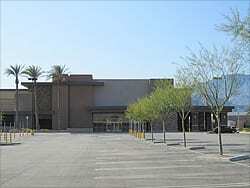 Rowland Plaza is 145,000 SF of office space in two buildings and a 24,120 SF Staples store. At the time of acquisition in 2009, the buildings were only 73% leased. The previous owner had not been aggressively leasing due to capital constraints. BPG acquired the project and capitalized the venture to renovate the office building lobbies and re-tenant the vacant space. Within 16 months, the buildings were 98% leased and the Staples lease was renewed. The acquisition was financed by Wells Fargo Bank and when the project was sold in 2015 it generated an impressive return to investors. 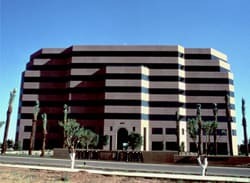 The 365,000 SF project was originally constructed in 1972 as the headquarters of Continental Airlines and subsequently was the West Coast office for Xerox Corporation as Xerox Centre. Barker Pacific Group, in partnership with Baupost and Prudential, acquired the project in 2003 and, upon the departure of Xerox in 2007, completely renovated it to first-class standards in 2008, including a comprehensive renovation of both the common areas and tenant spaces. Approximately $40 million was invested in building improvements. Renovations were completed in 2008. The project was fully leased to Northrop Grumman Corporation. BPG sold the asset in June 2014. The former Sam’s Club facility, built in 2007, is a high-quality, 138,000 square-foot single-story building on 14 acres. The site has an existing parking count of 633 spaces with the possibility for another 50. Included in the purchase is a contiguous 1.25-acre parcel ideally suited for retail use. BPG acquired in January 2011 and sold in 2015. Westlake Spectrum is 107,381-square-foot office development comprised of two buildings: One is 62,282 square feet and the other 45,099 square feet. Built in 1989, the project was acquired by Barker Pacific Group and its partner Rockwood Capital in October 2014. Upon acquisition, the team undertook renovations to common areas, as well as negotiating a “blend-and-extend” lease with Securitas USA, renewing the tenant lease for twelve years, thus solidifying the rent roll. Additionally, BPG was able to lease-up the remaining vacant space, achieving 100% project occupancy. The project was sold in 2016 for a profit to ownership and investors. With no prior experience in San Francisco, BPG entered the San Francisco market in 1983 with the intent of developing a major office building, 100 First Plaza, a 500,000 SF, 27 story building. The site, adjacent to the TransBay Terminal, was assembled within a 60-day period in mid-1983. During predevelopment, the project was hit with the uncertain and new provisions of the pending San Francisco Downtown Plan, which delayed the approval process and complicated development. In spite of these challenges, before construction began, BPG preleased 50% of the project to Delta Dental. Based on this lease, the project finally won City approval and BPG arranged to fund the construction costs. The construction loan was very unique, involving issuing Commercial Paper by Morgan Stanley, and resulted in borrowing costs significantly lower than traditional bank financing. 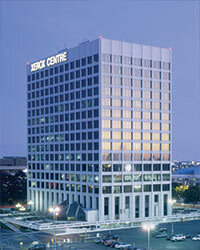 The project was completed on budget and when finished in 1988 was near 90% leased. The asset was sold in 1999 before the “Dotcom” downturn. 125,000-square-foot historic office rehabilitation with 50 parking spaces. Originally constructed in 1927. 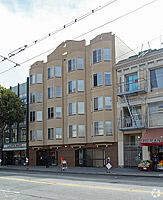 The building was acquired from Delta Dental Plan in 1986 by Barker Pacific Group as an inducement for the tenant/owner to anchor BPG's major office development, 100 First, located at First and Mission in San Francisco. 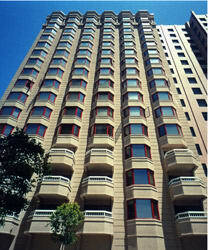 The building renovations were completed in 1991 and in 1992 was fully leased to the City of San Francisco for 20 years. The building was sold to San Francisco Unified School District in 2012. 150,000 square-foot, nine-story office building. 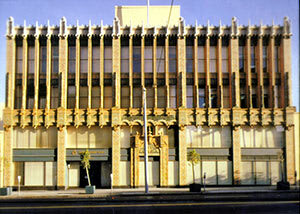 The project was acquired in 1997 in a San Francisco market that was slowly recovering from the mid 90s downturn. The building was just over 50% leased at acquisition and had very tired lobby and common area finishes and inadequate mechanical systems. Within two years, BPG had renovated the building, all existing leases were converted to new leases with extended terms, and the building was brought to 98% occupancy. The property was sold in 1999 for approximately twice the original cost plus the cost of improvements resulting in a substantial gain to ownership, which included BPG and the Baupost Group. 182,000-square-foot office and ground floor retail 600 space parking garage. The project was originally developed by the Carnation Company in 1948 as its headquarters. 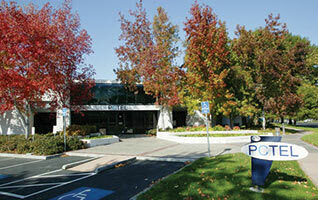 BPG and its partner, USAA, acquired the property from Carnation when the company moved to Glendale, CA in 1991. After Carnation's vacancy, the building was completely gutted and rebuilt to first-class standards. Renovations included the addition of 50,000 square-feet of office space. 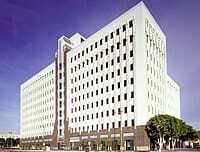 BPG procured BPI Communications (Hollywood Reporter) as the lead tenant and quickly leased up the project. The project was sold in 1993. The project was acquired in 1996 from a major insurance company which had taken the building back from its previous developer owner. The building, located near Lake Avenue on Colorado Blvd was only 35% leased at acquisition and had been void of any leasing activity for several years since Bank of America had vacated the building. Within five months after the acquisition the building was brought to 98% occupancy due to the attraction of two major new tenants plus a well known local Spa which relocated from the Ritz Carlton Hotel. The leasing was handled internally by Barker Pacific and only 16 months after the acquisition, the building was sold for a substantial gain to the ownership, which included the Baupost Group. During the ownership period, the lobby and most restrooms were renovated to current standards. 8075 West Third consists of three levels of atrium office space over a two-level parking structure. The atrium design allows for considerable natural light into the offices while simultaneously creating a peaceful working environment. 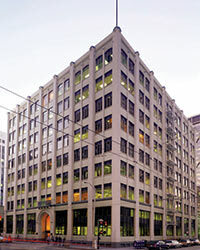 West Third Street Associates, LLC, the joint venture of BPG and Praedium Group, acquired the building in November 2006 . 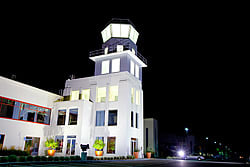 Since acquisition by BPG, the building has undergone significant interior and exterior base building renovation, which was completed in early 2008. At acquisition the building was less than 60% occupied. Within the first year Barker Pacific Group increased the occupancy by 10%, and subsequently brought occupancy from 70% to 85% in 2008. The remaining vacant space was built out as spec, which significantly increased tenant interest. The building was sold in 2013. 590,000 square-foot, 20-level office building, built-to-suit with 400-seat cafeteria, 1,700-space parking garage. British Petroleum (BP) was seeking a new Houston headquarters and sought to partner with a major developer. BPG was successful in winning a competition with other leading national developers to joint venture the acquisition of land, financing, and development. During a period just following the real estate "wipeout" in Houston, BPG was successful in developing the first-class project in which BP leased approximately 70%. By completion in 1992, the project was 100% leased. The development was a joint venture of BPG and USAA. In 1994, the project was sold by BPG. Constructed in 1963 and headquarters to the San Diego Chamber of Commerce until 1990, this building was once hailed as the tallest high-rise office building in California. It has 257 parking spaces on eight levels: two below grade and six levels above. In 2002, the multitenant building was honored by BOMA as the Building Owners and Managers Association’s Renovated Office Building of the Year. 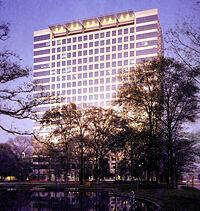 It also received BOMA’s award as The Office Building of the Year “TOBY” Award in 2000 and 1990 for buildings of its size. 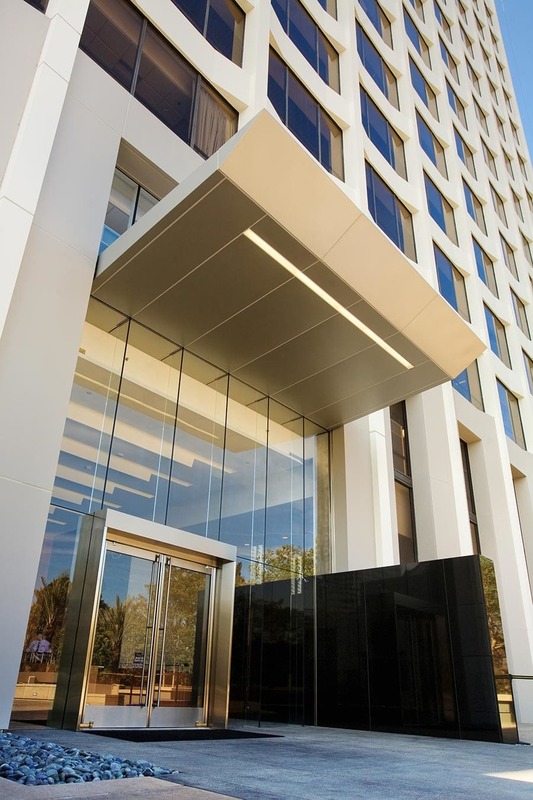 Barker Pacific Group and its JV partner, the Building Investment Trust of Washington DC, acquired the project in May 2003 and renovated the public area finishes and facility systems. The building was sold in 2007. 100,000 square-foot office, four levels, 9,000-square-foot freestanding restaurant. BPG, through its Phoenix affiliate, Barker Mashburn Hope, acquired 29 acres in northwest Phoenix in 1984 for mixed-use ground-up development. Property entitlements were increased to enable greater density. BPG procured Cigna Healthcare of Arizona as the first major tenant, leasing over 50% of the project before construction started. The project was 100% leased at completion in 1997. The project was sold in 1998. 278,000 square-foot mixed-use, built-to-suit office and retail project with a 850-space parking garage. BPG, in a JV with IBM and USAA, acquired the land in 1989 for a ground-up development.. 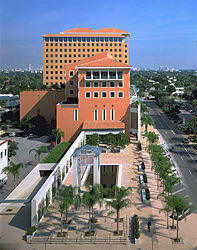 The property was entitled for added density due to BPG's willingness to meet strict design standards established by the City of Coral Gables. Prior to starting construction, BPG procured IBM as the lead tenant and equity investor in the land acquisition and project development. At completion in 1991, the project had attracted several other high-profile tenants and a first-class restaurant. The project was sold by BPG in 1993. In a JV with TCW, BPG acquired the land in 1984 for ground-up project. Upon commencement of construction, BPG signed Hewlett-Packard as the lead tenant. The project was completed in 1987, two years after the acquisition, and fully leased to major tenants including Hewlett-Packard, Prudential, Consolidated Cigar, AT&T and New England Life. It subsequently sold at a profit in 2001. In late 1998, Barker Pacific acquired 7 dilapidated former military airplane hangars from a San Francisco developer and its partner, Goldman Sachs. The hangars were not historical but had interesting architectural features. 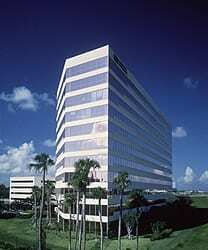 At completion, in 2001, the first building was 100% leased with Smith & Hawken serving as anchor tenant. Over the next several years the remaining 6 hangars were converted to first-class office space for a total of 406,000 SF. The project reached 100% leased in 2009 and included a blue chip roster of tenants including Disney, Oracle, Activision, Sony ImageWorks, Birkenstock, and the YMCA. The project won numerous awards for its unique energy saving “green” features and its trend-setting design. The project was sold for profit in 2015. The Kaiser building was acquired by BPG in a JV with the Baupost Group with a soon to expire lease with Kaiser Foundation Health Plan. The existing lease rate was over the then market rental rates with major market uncertainty. 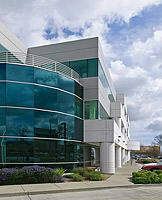 During the due-diligence period, BPG arranged for a new 12-year lease from Kaiser which would only become effective if BPG completed the acquisition. Based on the reduced risk, BPG was able to arrange attractive debt financing and close the acquisition. The project was sold one year later for an attractive gain. 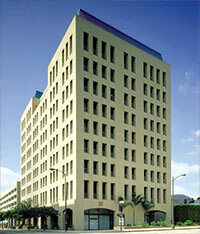 BPG was developing a major office building in San Francisco. Rather than pay housing linkage fees, BPG took on the challenge of actually providing the requisite housing which met the goal of the S.F. Office of Housing Production. BPG partnered with a community non-profit, Arriba Juntos, to develop 46 residential united limited to occupancy by lower-income residents, meeting S.F. affordability guidelines. The project was completed on schedule and was heralded by the Mayor of San Francisco as a model public-private partnership. BPG still owns the project with Arriba Juntos. The City of Miami had no NBA basketball team. Through its Miami Sports & Exhibition Authority, the city invited major developers to propose the development of a public/private arena project to attract and NBA franchise. BPG won the competition and was named the managing partner of the consortium. It assembled the land to develop and operate the arena. BPG, through its joint venture called Decoma Venture, arranged for development rights, procured the land, and arranged private financing to build the arena. 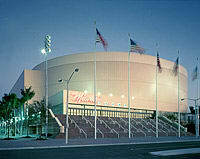 After commencing construction, BPG and the City worked together to procure an NBA franchise which became the Miami Heat. At completion, a private party also obtained a franchise for the Florida Panthers NHL hockey team and the team leased time in the arena. The project was sold by BPG and its partners in 1994. 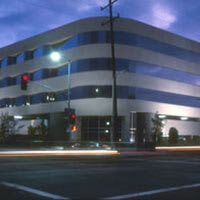 BPG was developing a major office building in San Francisco. Rather than pay housing linkage fees, BPG took on the challenge of actually providing the requisite housing which met the goal of the San Francisco Office of Housing Production. BPG partnered with a local residential developer and Vintage Properties to acquire the land, gain the necessary entitlements, arranged financing, and build the residential units. To facilitate the goals of the city, BPG set aside 20% of the project for low-to-moderate income qualified tenants and obtained attractive tax-exempt low-floater financing. A ground-up development project in the City of Tempe of approximately 3.65 million SF, where the development team planned to merge business, entertainment, sports, retail, dining, residential enclaves, hotel and luxurious hospitality services, public promenades, and plazas. Through collaboration with the community and the City, they sought to create the largest mixed-use development project in Arizona. BPG achieved full entitlement on the site, and then, with its partners, PCCP and Laguna Pacific, sold to a third party in September 2007 for a substantial gain. 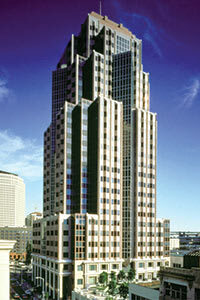 The Southwest Gas building is an eight level, 160,000 square-foot office asset. The project includes a freestanding co-generation plant developed in joint venture with Southwest Gas Corporation. BPG procured Southwest Gas under a long term lease prior to starting construction to lease approximately 65% of the building. The building was sold soon after completion of construction in 1998. 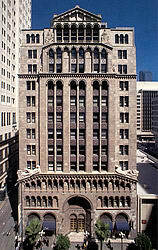 Originally constructed in 1927, The Fine Arts Building was and continues to be one of the most historically significant buildings in Downtown Los Angeles. It had been renovated in 1984 but by 1998, the project had a large debt that was coming due and the value of the building was considerably less than the mortgage. The current ownership syndicate did not have capital to handle tenant rollovers much less pay off or refinance the debt. Barker Pacific and its partners negotiated a purchase of the note for a substantial discount and concurrently negotiated an arrangement with the ownership to hand over the title to the building once the note acquisition was completed from the New York-based institutional seller. Upon completion of the acquisition of title to the property, the building was completely released under new leases with extended terms and substantially higher rental rates. The occupancy was also increased from 84% at acquisition to 99% within three years. In addition, the electrical systems were replaced and substantial improvements made to the life safety systems. The project was then sold in 2003 for a profit over its cost. 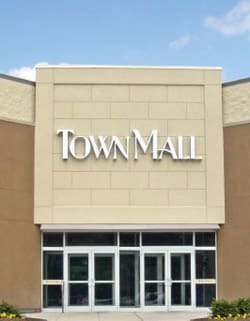 TownMall of Westminster is a 600,000-square-foot enclosed mall situated on 55 acres of land. This indoor shopping mall was originally constructed in 1987. Soon after BPG's acquisition of the asset in 2000, the team implemented renovations to the common areas, parking lots, and landscaping. The project was sold in 2004, providing a substantial profit to ownership and investors.